Enhance your TPC with these easy-to-follow recommendations. A well designed, well run TPC can help you deliver an excellent dealership experience for your customers and help boost customer retention. Whether you are building your TPC from scratch or looking for additional tips to improve your current store, maximize the potential of your TPC by employing an effective retail strategy. The goal of your TPC should be to create a shoppable retail environment for your customers. A shoppable retail space is one that is easy to navigate and make purchases. Make it easy for your customers to find what they are looking for by using clear signage. Make the transaction stress-free for your customers by making it easy for them to find a register and by not asking them to wait in line for very long. Understanding your customer and their motivations will help you create an environment that is easily relatable and makes them comfortable. Why are they coming into my TPC? What can I offer them that no one else can? Offering products your customer wants and needs makes your retail environment shoppable. It makes it easier for your customer to find and purchase what they are looking for. The products you stock in your TPC have a lot to do with your geography and your market. While there is general merchandise that every store should stock, such as coolant, oil, and filters, additional accessories and items will be influenced by the most popular vehicle models your dealership sells and the climate of your dealership’s location. Knowing your customer and tailoring your product offerings to them will help you decide how to best stock your TPC. How your store is laid out and organized can have a direct impact on sales. When you are arranging your store, allow enough room for a customer to navigate the aisles and interact with the product without encroaching on the personal space of another customer. The layout of your store should include a focal point, a visual that attracts attention and acts as a landmark. If you have a small space, supplement physical displays with catalogs or video. Great signage drives traffic. Signage can help bring customers into your TPC and move them around the store. Effective signage is as important as store layout and the products you carry. Continuity is important in your signage. When all of your signs look the same, it is easier for your customers to see them and figure out where they need to go. Product signage should convey a feature, a benefit or the price of the item. The purpose of lighting is to highlight the products you sell. High-quality lighting can help make your products look good. The basic rule for shelving and displaying products is to place complimentary products together. Products can be grouped on displays vertically or horizontally, depending on which products you want to place at the customer’s eye level and what looks most aesthetically pleasing. 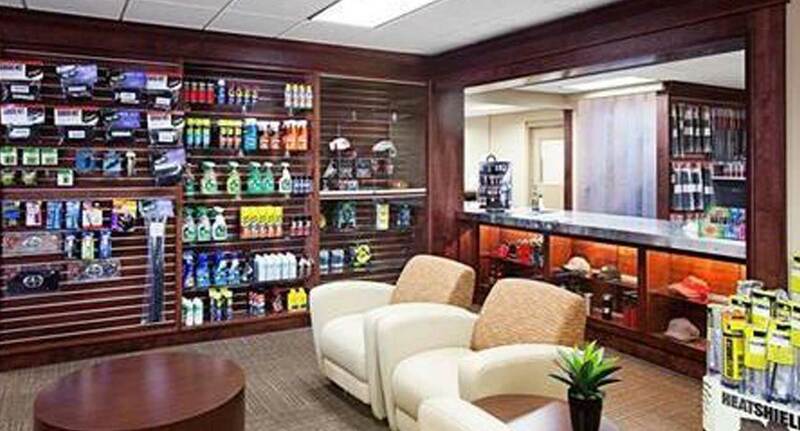 How and when you stock your shelves has great impact on the overall shoppability of your TPC. Stock shelves regularly. Stocking is not solely restricted to restocking product that has been sold. Stocking also includes the frequent walk-throughs to tidy shelves and make sure all products are pulled forward with front labels facing forward. A stocking walk-through should be performed every hour or so, depending on traffic. Rotating your merchandise on a regular basis allows you to infuse visual newness into your TPC, which can help draw customers into your store. Store windows or the front of store should have a new display quarterly. Merchandise displays on the end of an aisle are a great way to add new visuals to your store. The strategy is to get customers to explore the entire store, exposing them to as many opportunities to buy as possible. Proper fixtures will allow you to maximize your space and showcase products in an enticing presentation. Consistency is important to the overall presentation of your store. All of your fixtures should have a uniform appearance. The pegs or shelving on the fixtures should be the same length. Taking care of your fixtures can go a long way to making your products look good. Dirty or broken fixtures can deflate the perceived value of your products. Good customer service can make your TPC really stand out. People prefer to do business with people they like. Digital signage is a great way to reach customers in your dealership with news, information, and advertising displayed in an engaging format. On average, your customers spend about an hour and a half in your service lounge, providing you a captive audience for digital advertising. 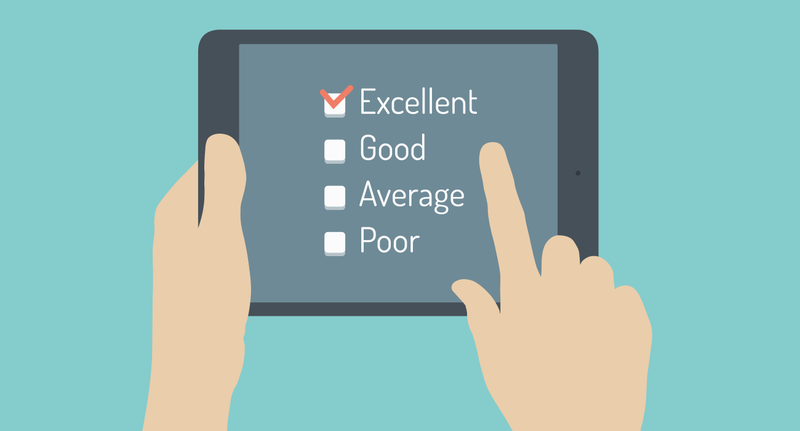 A customer survey is a relatively easy way to gauge your customer service performance. Survey methods can include written questionnaires or online surveys. The links to the survey can be distributed by email or printed on sales receipts. Thank customers with a coupon or car wash to show your appreciation and help bring them back into your store. 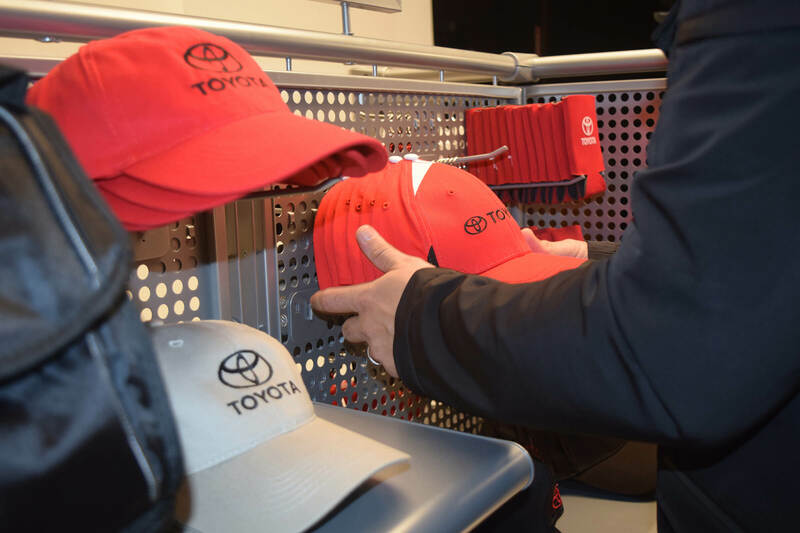 Whether you are building your TPC from scratch or looking for additional tips to improve your current store, this guide is designed to help you maximize your Toyota Parts Center’s retail space. With the proper retail merchandising strategy, your store will deliver a better overall dealership experience for your customers and help boost customer retention. Your Toyota Parts Center has the potential to be an incredibly successful business. It has one primary business need already taken care of—foot traffic. With customers who are your brand advocates passing your store day in and day out, it just takes a little strategy and organization to turn your TPC into a source of revenue and customer retention. 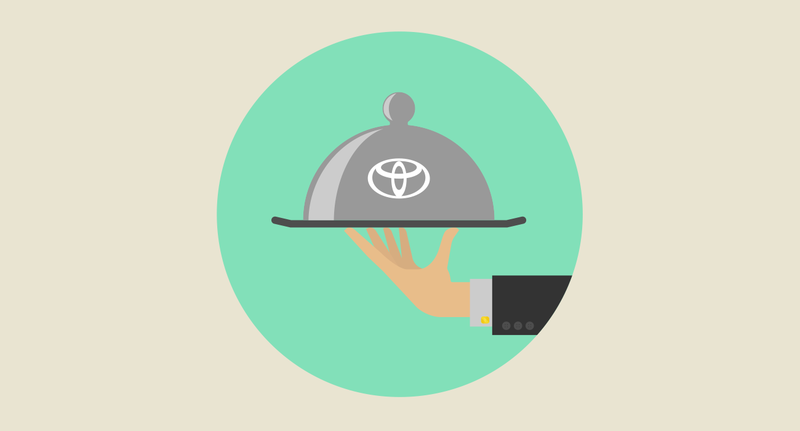 Toyota is an incredibly strong brand and when you leverage the Toyota brand equity into your TPC, you will be aligned with what customers expect from a Toyota shopping experience. Now it’s time to deliver. The goal of your TPC should be to create a shoppable retail environment for your customers. Let’s get down to some shoppability basics. Most of your traffic is coming in with the singular purpose of either paying a repair bill or picking up a part. So make these areas easy to find by using clear signage. Navigational cues to help a customer know what products you stock and where they are located also make your store more shoppable. Some of these cues can be the products themselves. Depending on layout and orientation of shelving, products can be visibly scanned on shelf or an end cap display can indicate types of products in any given aisle. A great way to get ideas for creating a shoppable TPC environment is to “be a student of retail.” Anytime you go into a store note the layout, how products are displayed, and what gets your attention. There are lessons to be learned both in and out of the automotive category. When thinking about the best way to merchandise and design your TPC, always come back to your customer. Having an understanding of your customer and their motivations will help you create an environment that is easily relatable for them and makes them comfortable. This will also help you better stock and promote brands or items that your customer wants to purchase. The products you stock and the way you display items may be completely different for a TPC in Florida versus one in Ohio or Maine. Geographical differences and regional interests all play a role in what your customer is looking for. 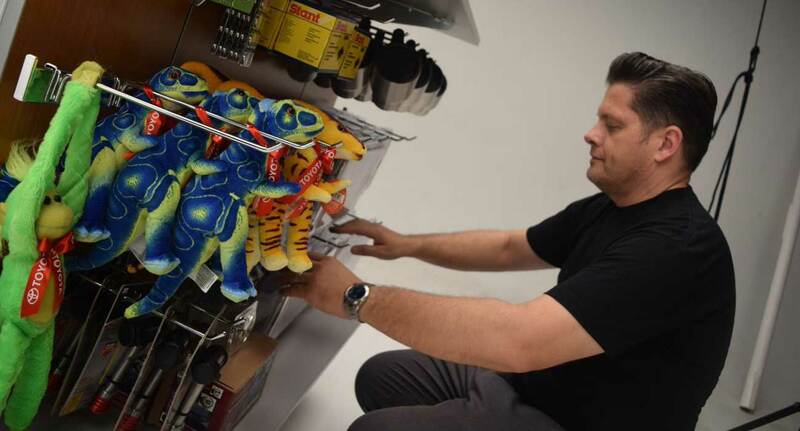 Offering products your customer wants and needs ties back to making your retail environment shoppable. When you tailor your product offerings to your customer, you make it easier for them to find and purchase what they are looking for. This shows your customer that you really care about them, which helps increase customer retention. The products you stock in your TPC have a lot to do with your geography and the market your store is located in. 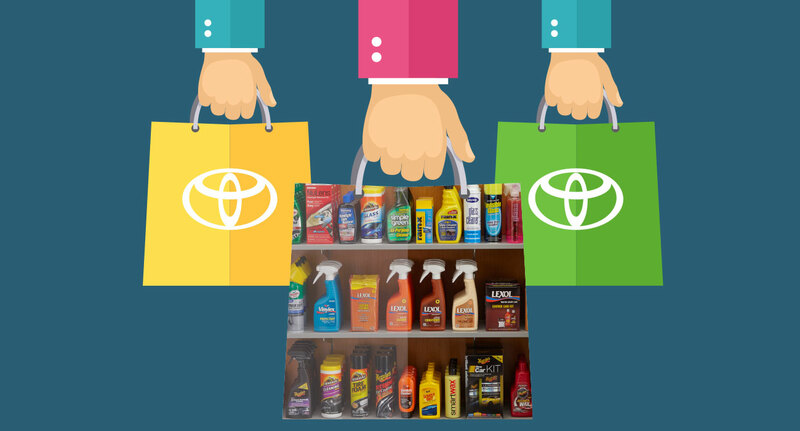 There is the general merchandise that every store should stock, the automotive cleaning supplies, coolant, oil, filters, etc. But there are those accessories that will be influenced by the most popular vehicle models your dealership sells and the climate of your dealership’s location. This is where knowing your customer and catering to them comes into play. 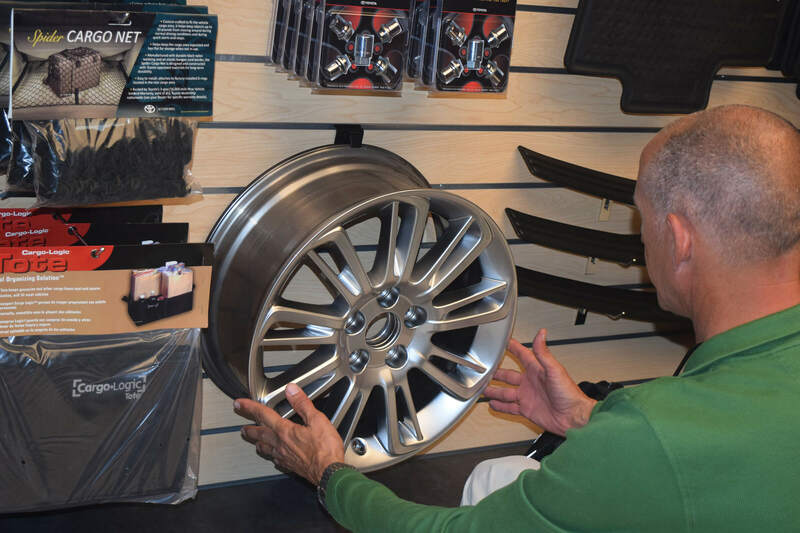 If your dealership is in Madison, Wisconsin, you’ll probably be featuring snow chains and windshield deicer at some point during the year, along with presenting accessories that help customers get the most out of their vehicles, like custom wheels and interior space organizers. Offering more options to your customer is not always better. If you offer too many options for the customer to pick from, the choice can sometimes be overwhelming. Your customers rely on you to be the expert and to provide them with a curated selection of what you consider to be the best products for their vehicles. This can help inspire trust in your customer and make the shopping experience more pleasant for them. How your store is laid out and organized can have a direct impact on sales. Use your space wisely, allowing enough room for customers to navigate the aisles interacting with the product and each other. The best way to get a handle on maximizing your space is to draw a floorplan and sketch several different layouts for floor and wall shelving, under-counter and wall displays, and racks. There are a variety of shelving and display options, so explore whether a grid of long, linear shelves or multiple freestanding units best suits the space. Layout of your store should include a focal point, a main visual that attracts attention upon entering the store and acts as a landmark as the customer walks through the aisles. This can be a sign, display or some other noticeable 3D or 2D visual that can be seen from most areas of the TPC. Also consider the space needed for customers to look for and interact with products without encroaching on each other. For instance, imagine two customers passing each other or facing away from each other bending over to look at products on opposite shelves. Another thing to think about when you layout your store is the percentage of space you devote to each category. Your top-selling products should have the most space in your TPC, while items that don’t perform as well should be given less space. If you have a smaller space and want to display larger items, like skid plates and wheels, this can be accomplished with a limited physical display supplemented by either catalogs or video. Proper signage in your TPC is all about balance. You don’t want to use too many signs, making the environment overwhelming, and you don’t want to use too few signs, making it difficult for your customer to find what they are looking for. Signage on your storefront or entrance should convey a compelling message, such as a 50% off sale or reminder of seasonal maintenance that should be performed. Once inside the store, consider the primary information people will need to know if they have questions or want assistance. Be sure to make it apparent with signage where the parts counter and the cashier are located. When choosing product signage, ask if the sign conveys a feature, a benefit or the price of the item. If the sign does not contain this type of information it is probably not necessary. Continuity is important in your signage. When all of your signs look the same, it is easier for your customers to see them and figure out where they need to go. Also, for continuity’s sake, position aisle signage consistently. For Toyota branded advertisement materials, visit the Toyota Ad Planner at www.adplanner.toyota.com. The purpose of lighting is to highlight the products you sell. High-quality lighting can boost a product’s colors and contrast, showcasing the surface and textures of items like floor mats, wheels, hats, and clothing. Lighting can also create a specific mood in your store that makes customers feel comfortable, which in turn can encourage them to stay longer. Since humans are naturally drawn to light, lighting can be used strategically throughout your TPC to draw attention to your store, focus on a special or sale item, or direct the flow of traffic. Canned Lighting is the recessed lighting tucked up into the ceiling. When strategically placed and filled with a high-watt bulb, canned lights can also be used as spots for cashier stations or to focus on product displays. Under-Counter Display Lighting is lighting in glass cabinet displays and under some wall-mounted, stacked shelving. 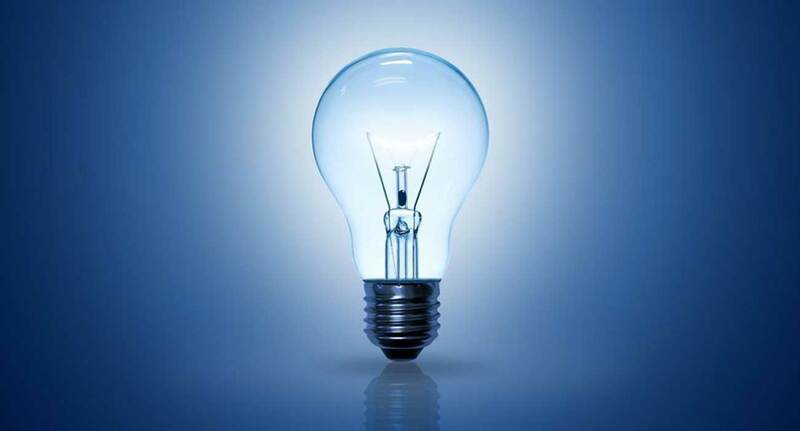 It helps to illuminate products that are in the shadow of the counter or shelf above. There is a fairly straightforward strategy to shelving and displaying products. The basic rule of thumb is to shelve complimentary products together. For instance, put oil, oil filters, oil filter wrenches, and funnels close together. Products can be grouped on displays vertically or horizontally. The method you choose will depend on which products you want to place at the customer’s eye level and what looks most aesthetically pleasing. Successful retailers often employ both techniques on a single display. Each of these categories are merchandised differently and shouldn’t be mixed together in your store. Core products should be easy to find and displayed in a straightforward manner. Lifestyle products are items that you are trying to entice people to buy. These items should be dressed up more and made to look more attractive to your customer. Place these items in spots reserved for impulse purchases or use them to draw customers into your store. Keep all product displays in order and looking fully stocked. This means having someone regularly walk the aisles, and ideally restock sold product or at least straighten and pull product forward so it looks like a full display. Each display should have a sense of balance. Sometimes shelving largest to smallest (or vice versa) doesn’t look right. In these instances try putting the tallest product in the center with height descending or ascending to the left and right. Color can add depth, focus, and interest. Supplier or seasonal POP displays can add visual interest. 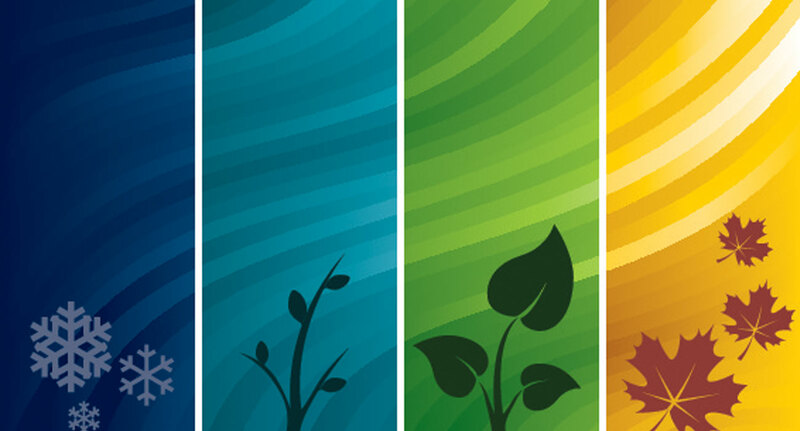 A product line with bold branding can become a focal point. Place unpackaged or sample product at eye level (generally considered to be 5’3”) with the actual packaged product right below it. The same eye-level placement goes for your most profitable products and product information signage as well. 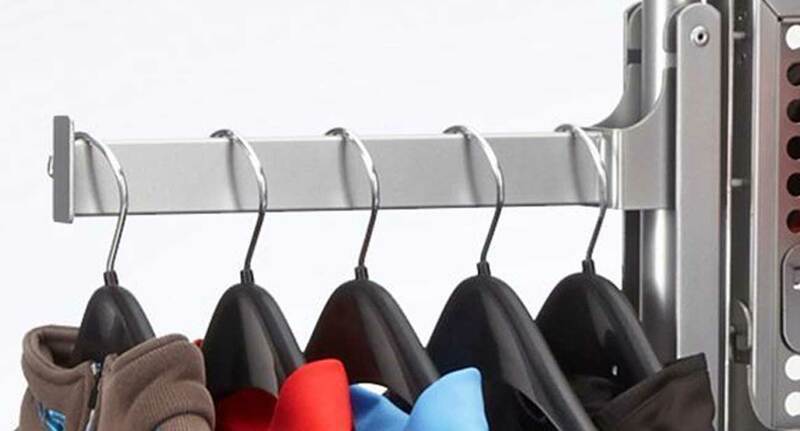 Use wider shelving and longer pegs to stock more items that move quickly. A vertical rather than horizontal display will allow your customer to see a better variety of products at one time. People are naturally predisposed to reading left to right, so it’s natural to stock your shelves that way too. The order could be smallest to largest, or oriented for quality/pricing as good, better, best. How and when you stock your shelves has great impact on consumers' shopping experience and the overall shoppability of your TPC. 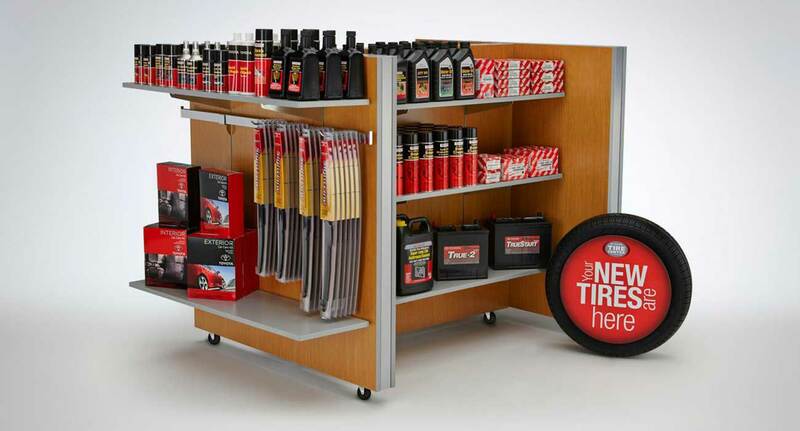 By properly displaying the best products at the right time, you are letting your customer know that there is no reason to shop for their automotive products anywhere else because you have them covered. Stock shelves regularly. Customers cannot buy product that isn’t there or that they cannot find. Stocking is not solely restricted to restocking product that has been sold. Stocking also includes the frequent walk-throughs to tidy shelves and make sure all products are pulled forward with front labels facing forward. A stocking walk-through should be performed daily. If you are featuring a display with special or sale items, it is critical to take stocking these areas seriously. You’ve made a promise that a certain product is available at a certain price. Be sure to pay particular attention to these displays to ensure they always have organized product and don’t look like a war zone. Also, have plenty of stock on hand or advertise/display that the offer is good only while supplies last. Aside from the front of the store, which should have a new display quarterly, there are other opportunities to rotate products and infuse visual “newness” into your TPC. This newness or slight unfamiliarity will draw in the regular customer who may not need anything as well as drawing in the person who has passed by and never felt compelled to enter. End caps are merchandise displays on the end of an aisle. They’re a great way to add new visual dress to your store. It’s best if the products relate to what’s in that aisle, though they could be something pertaining to seasonal offerings or additional sale merchandise. The strategy is to get customers to explore the entire store, exposing them to as many opportunities to buy as possible. This “desire to explore” can also be accomplished with a secondary sale area located in another part of the store. By adding an additional sales merchandise area; you also create a high-traffic area. This is a great opportunity to experiment with different products in and around the vicinity to increase impulse sales or move discontinued items. 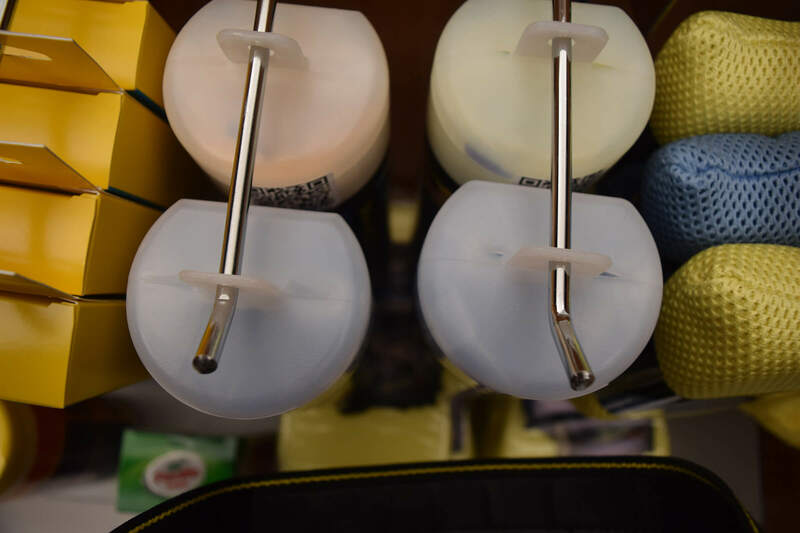 If you are unable to rotate merchandise frequently, make sure you take time every quarter to walk through your TPC, dust your merchandise, and ensure that it is in a presentable condition. Proper fixtures will allow you to maximize your space and showcase products in an enticing presentation. While some fixtures are designed for general use, specific use fixtures can add focus and texture to your TPC. Customer service is the human aspect of your store. It’s how your sales staff interacts with and treats your customers. This brings up one simple and very obvious fact: people prefer to do business with people they like. Your customers have many choices for where to shop for their automotive needs. Many of these competing retailers have much more real estate stocked with many more products, both in types of product and depth of selection in those product types. Your TPC has to be on its “A” game at all times to compete and exemplary customer service is a way to win. A customer who has a bad retail experience is much more likely to recount it than one who has had a good experience. Digital signage is a great way to reach customers in your dealership with news, information, and advertising displayed in an engaging format. On average, your customers spend about an hour and a half in your service lounge resulting in a captive audience for digital advertising. “With digital signage we can communicate to our customer that we do more than just sell cars. We do brakes, we do tires, we are involved in the community, etc. Why would we not want to speak to our customers while they are in our dealership? When you’re watching every dollar and measuring your advertising, digital signage is probably the least expensive way to advertise.” Carmine Colella, COO, Ed Morse Automotive Group, Ed Morse Delray Toyota. Digital displays can be a highly effective customer retention tool. 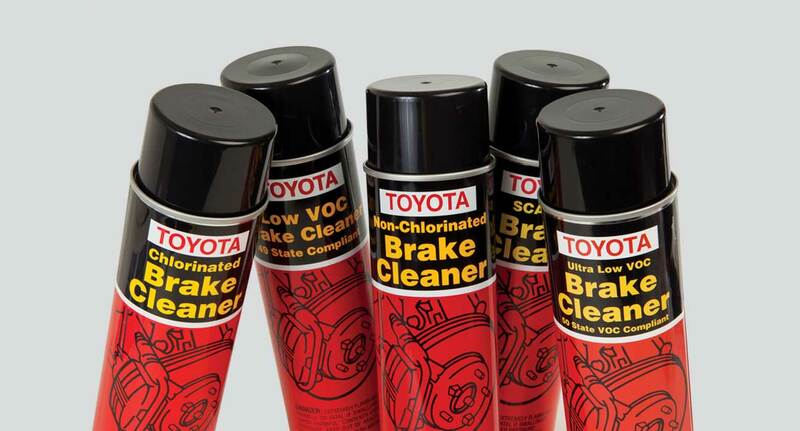 They are a great way to push educational messages to your customers about the benefits of Genuine Toyota Parts and about the value of coming back to your dealership for service. Studies on digital advertising have shown that consumers who viewed in-store programming were 1.5 times more likely to buy the products advertised. And, dealer TV programming yields a significant increase in the recall of dealer-related information. “We love digital signage in our dealership. We know our customers are watching because customers are always asking about additional services that they have seen on our screens. 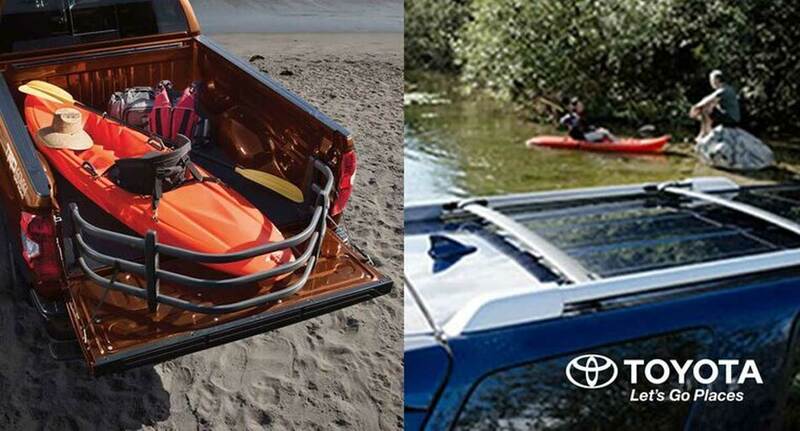 And because my service advisors and parts employees see our service and parts specials all day long too, they are also more aware of our product offerings and as a result our service and accessory sales have increased across the board.” Dave Rodgers, Livermore Toyota. Consumers who viewed in-store programming were 1.5 times more likely to buy the product. Strategically placing digital signage in high-traffic and customer waiting areas gives you a valuable marketing and communications tool that can be populated with dealership branded videos, OEM commercials, tech tips, and advertisements for parts, service, and products. 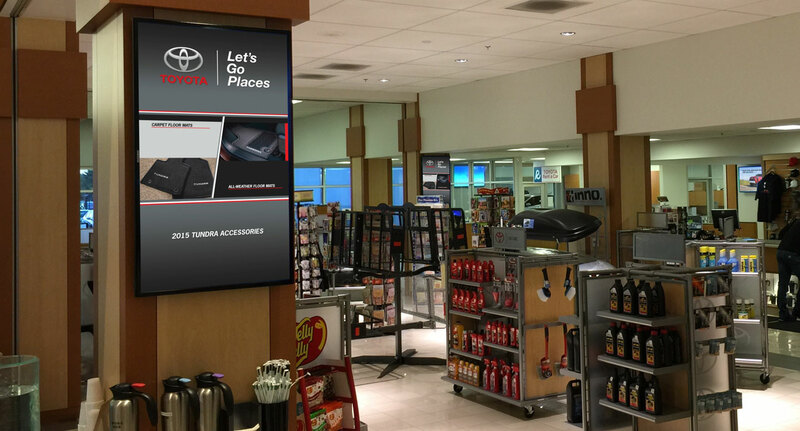 Not only do digital signage screens drive additional service and parts revenue, but they also make my service write-up area, parts area, service waiting lounge, and new car showroom come to life.” — John L. Sullivan, Owner—Roseville Toyota. If you have a well-stocked, well laid out store, then underperforming sales can very well be a sign of flagging customer service. A customer survey is a relatively easy way to gauge your customer service performance. This can be as easy as asking post-purchase customers what they liked and disliked about their shopping experience. 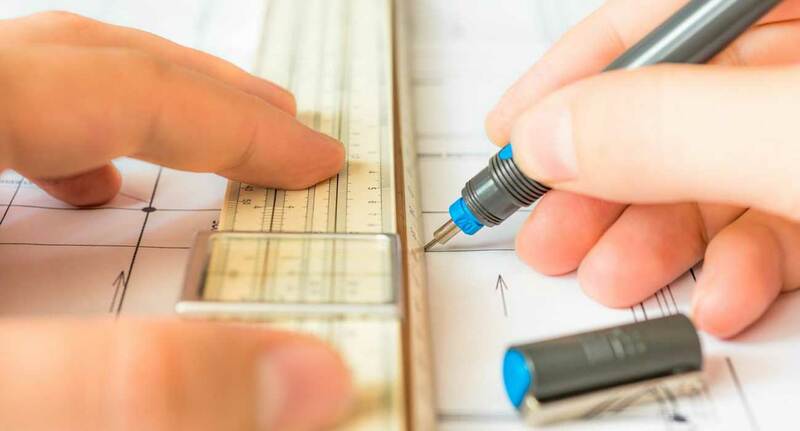 Other survey methods can include a more formal approach with written questionnaires. The links to the survey can be distributed by email or printed on sales receipts. Thank customers with a coupon or car wash to show your appreciation and help bring them back into your store.